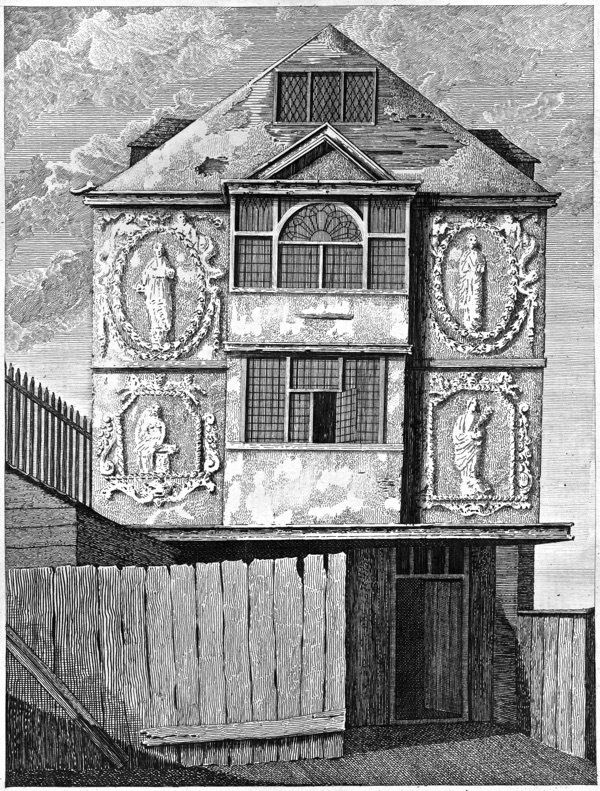 If William Shakespeare passed along Bishopsgate around 1600, he might have observed the construction of one of the finest of the mansions that formerly lined this ancient thoroughfare, Sir Paul Pindar’s house situated on the west side of the highway beyond the City wall next to the Priory of St Mary Bethlehem. 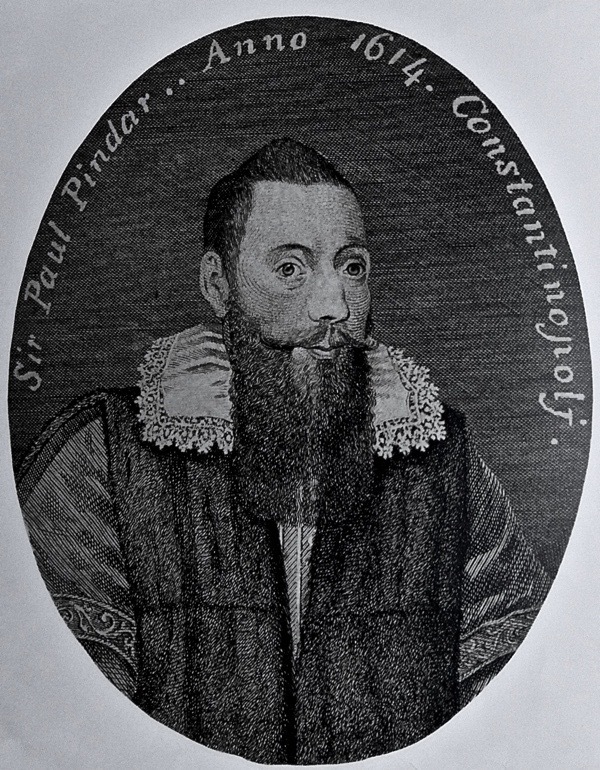 Paul Pindar was a City merchant who became British Consul to Aleppo and subsequently James I’s Ambassador to Constantinople. 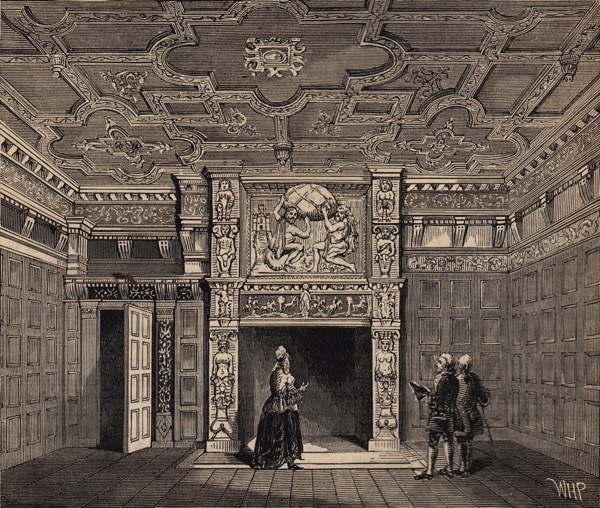 Although he returned home from his postings regularly, he did not take permanent residence in his house until 1623 when he was fifty-eight and between 1617-18 it served as the London abode of Pietro Contarini, Venetian Ambassador to the Court of St James. 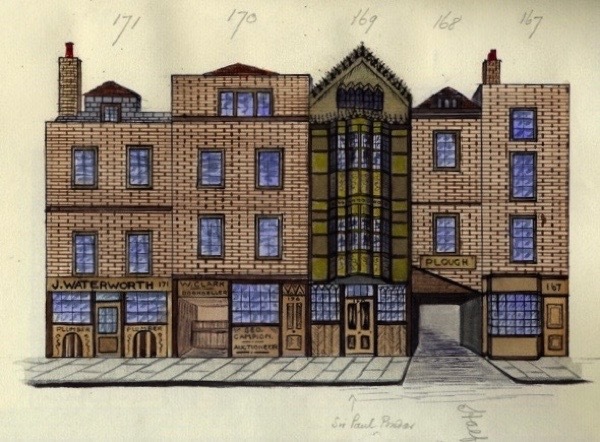 Who can say what precious gifts from Sultan Mehmet III comprised the inventory of Ottoman treasures that once filled this fine house in Bishopsgate? Pindar’s wealth and loyalty to the monarch was such that he made vast loans to James and Charles I who both dined at his house, as well as contributing ten thousand pounds to the rebuilding of St Paul’s Cathedral. Yet Charles’ overthrow in 1649 meant that Pindar was never repaid and he died with huge debts at the age of eighty-five in 1650. What times he had seen, in a life that stretched from the glory days of Elizabeth I to the decapitation of Charles I. 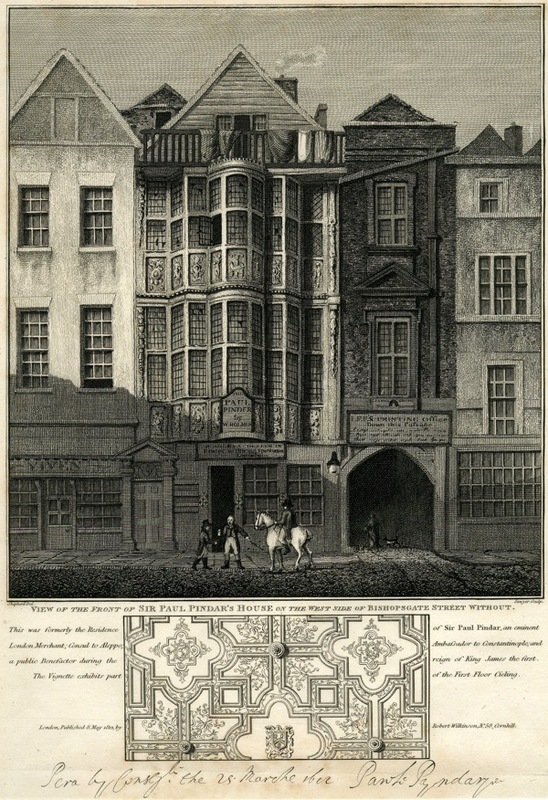 Remarkably, Paul Pindar’s house survived the Great Fire along with the rest of Bishopsgate which preserved its late-medieval character, lined with shambles and grand mansions, until it was redeveloped in the nineteenth century. 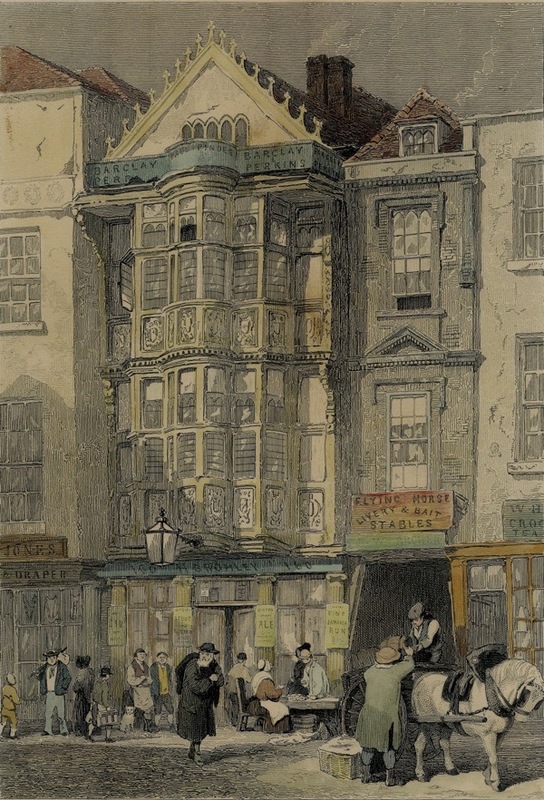 His presence was memorialised when the building became a tavern by the name of The Paul Pindar in the eighteenth century. Reading the correspondence of CR Ashbee from the eighteen-eighties in the archives of the Society for the Protection of Ancient Buildings in Spital Sq, I was astonished to discover that, after Ashbee’s successfully campaign to save the Trinity Green Almshouses in Whitechapel, he pursued an ultimately fruitless attempt to rescue Paul Pindar’s house from the developers who were expanding Liverpool St Station. In his poignant letters, arguments which remain familiar in our own time are advanced in the face of the unremitting commercial ambition of the railway magnates. 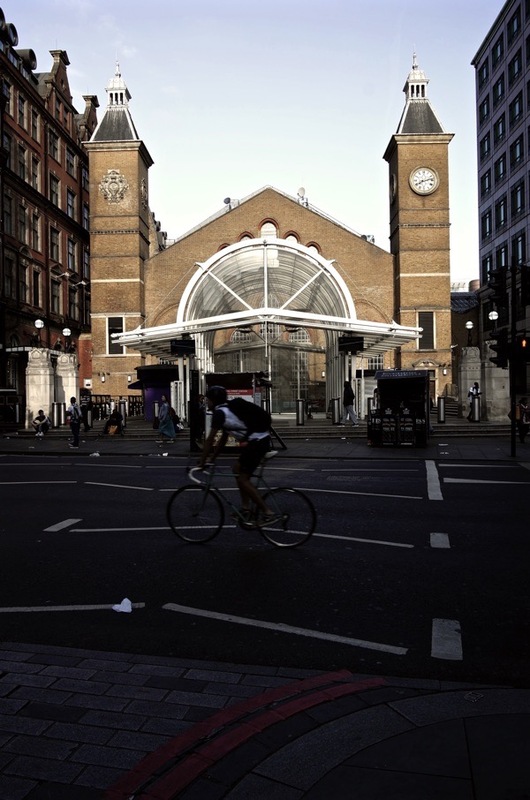 CR Ashbee reminded them of the virtue in retaining an important and attractive building which carried the history of the place, even proposing that – if they could not keep it in its entirety – preserving the facade integrated into their new railway station would prove a popular feature. 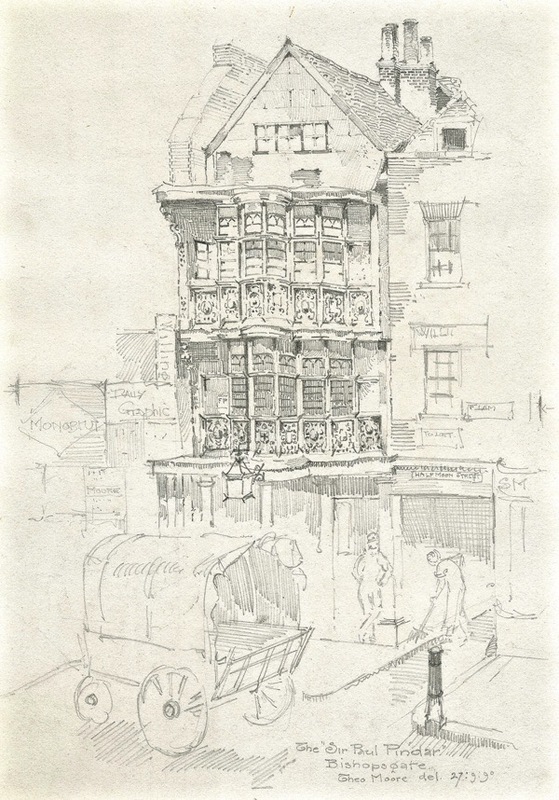 His words were disregarded, but since Paul Pindar’s house stood where the Bishopsgate entrance to Liverpool St Station is now, I cannot pass through without imagining what might have been and confronting the melancholy recognition that the former glories of Paul Pindar’s house are forever lost in time, as a place we can never visit. 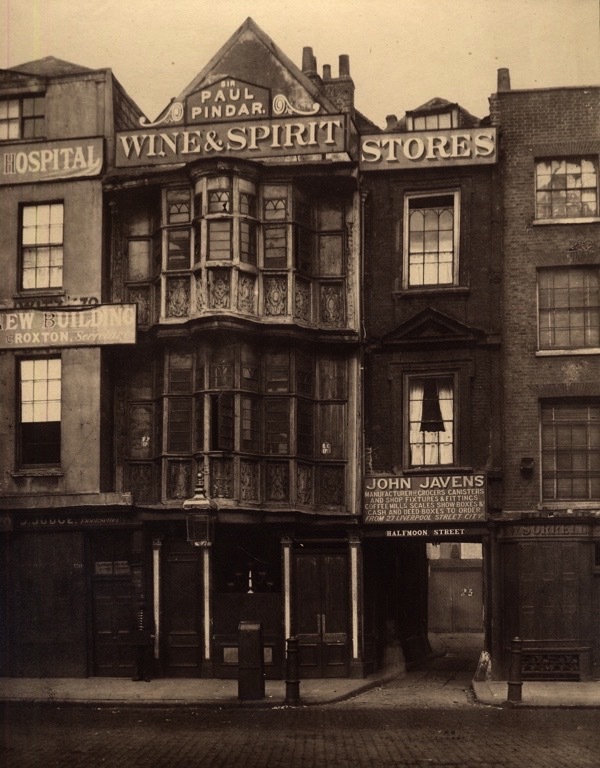 The elaborately carved frontage, which concealed a residence much deeper than it was wide, was lopped off when the building was demolished in 1890 after surviving almost three hundred years in Bishopsgate. Once the oak joinery was dis-assembled, it was cleaned of any residual paint according to the curatorial practice of the time and installed at the Victoria & Albert Museum in South Kensington when it opened in 1909. 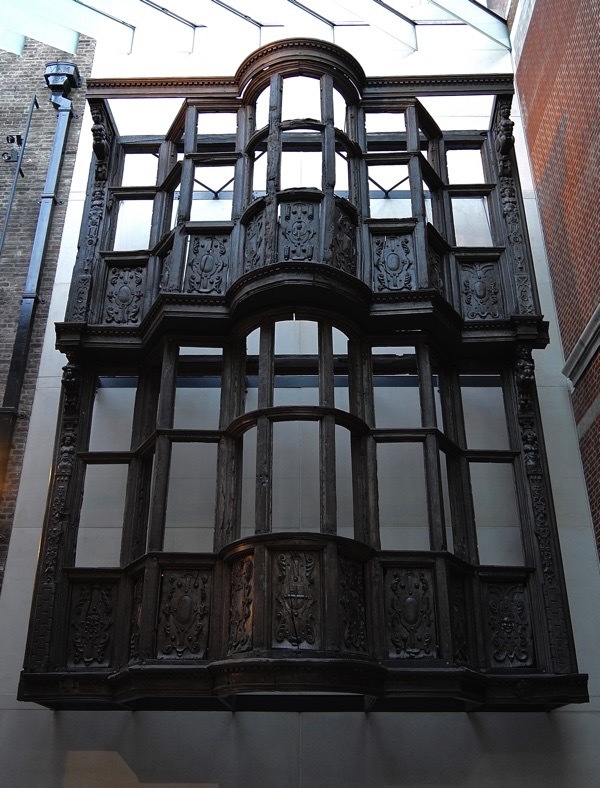 You can visit this today at the museum, where the intricate dark wooden facade of Paul Pindar’s beautiful house – familiar to James I, Charles I and perhaps to Shakespeare too – sits upon the wall as the enigmatic husk of something extraordinary. It is an exquisite husk, yet a husk nonetheless. I trust that the developers of Liverpool St Station have been re-buried appropriately in unconsecrated ground? As a Custodian of a National Trust Historic House, I have had many behind the scenes visits to the V&A and your email brings back happy memories. With reference to Mems review, yes, the houses in those times were small & narrow in comparison to how we build homes today the streets so narrow householders could almost shake hands with neighbours from their windows & the furniture quite basic, not what we would call relaxing by todays standards. You did not ‘lounge about’ in the home in those times. The very first real armchair was inventented in the year 1680 & would have been seen only in the most wealthy of homes that liked to show how fashionable they were. A good choice of subject. Thank you. I was very struck in your recent blog by the wonderful picture of Sir Paul Pindar’s Lodge in 1760 with hollyhocks in front and a tall tree behind. So I was fascinated – and also saddened – to see the progression of his gloriously ornate ancient house gradually being reduced to a mere ornament in the V & A. When will we ever learn to preserve our treasures in situ? 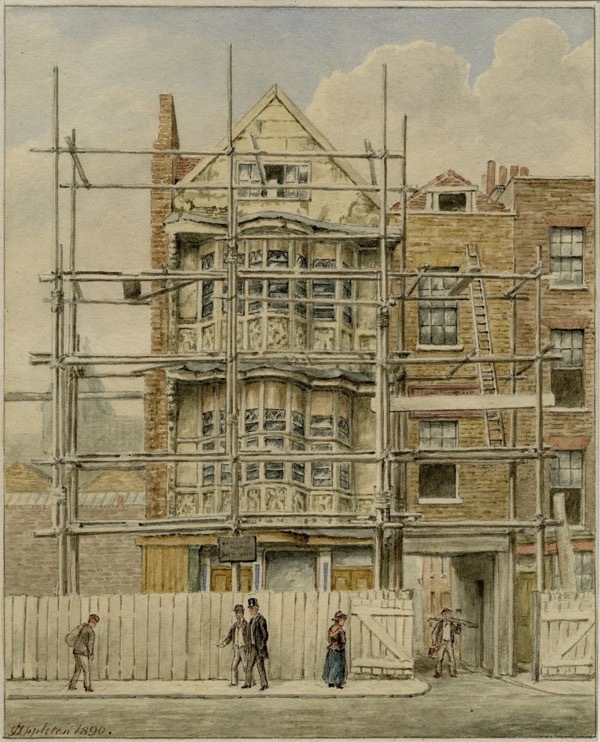 It is interesting to see how different artists depicted this building probably all using a bit of artistic licence I suspect, and interesting too to see the basic timber frame construction in the V&A. I know it is not the ideal solution but at least those who seek a better understanding of how timber framed buildings were put together can see it and it may help to identify and preserve more hitherto unrecognized buildings from this era. 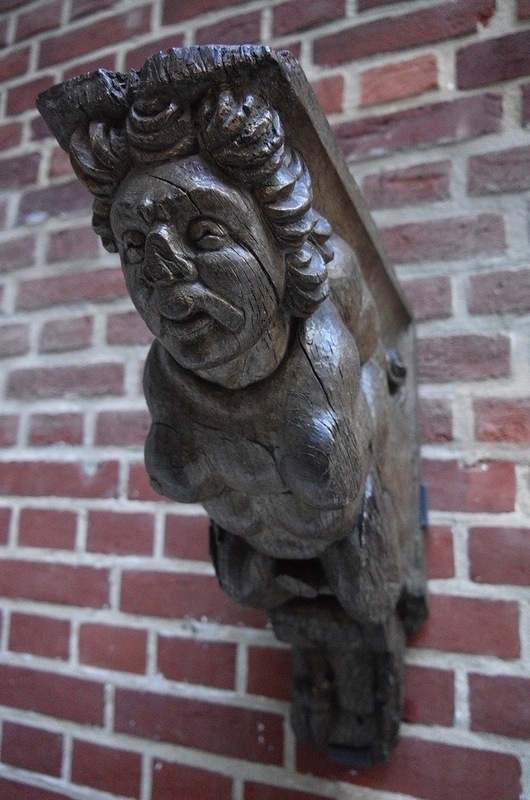 We have a friend who is a mediaeval timber framed buildings expert and he can tell the date of a building from all sorts of clues hidden in the oak frame. 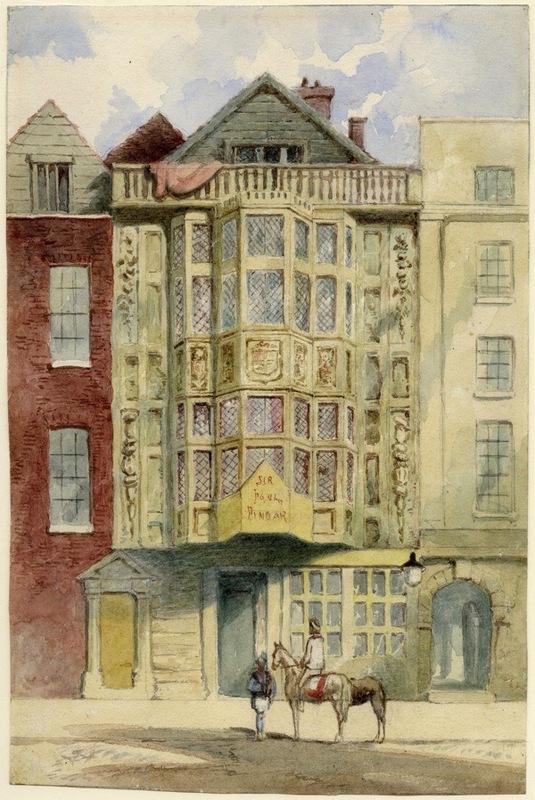 It is surprising that the frontage of Paul Pindar’s house survived so long as many similar houses would have had a Georgian front added in order not to look ‘oldfashioned’. We have many such buildings here in Colchester, and have recently discovered, thanks to my son and our friend, that one building was taken down and moved to a new site in Kingston Surrey where it is now a grand mansion, recently for sale at some thing like 14 million pounds!! Such a beautiful house, I love seeing the picuters and very much enjoyed the great post. Knowing that this house, and so many others, was destroyed just makes me want to sit down and weep, figuratively speaking. I am so glad that the frame was saved and is in the V&A but it does look like an empty husk there. I had often seen it there and wondered what it was – it reminded me of a church. Very glad to know more about it now. Thank you!